MK Dons have sacked manager Robbie Neilson after the club dropped into the League 1 relegation zone on Saturday. 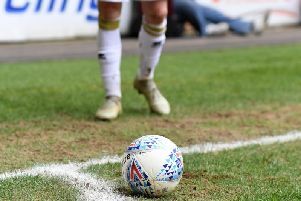 Dons were beaten 2-1 by Northampton Town earlier in the day - their 11th defeat of the campaign - seeing them drop into the bottom four for the first time this season. Neilson took over from Karl Robinson in December 2016, and took the club from the relegation zone to a 12th place finish. But with the club now in League 1's bottom four, chairman Pete Winkelman has decided to part company with Neilson, along with assistant Stevie Crawford and first team coach Neil MacFarlane. No decision has been made who will be taking caretaker charge.